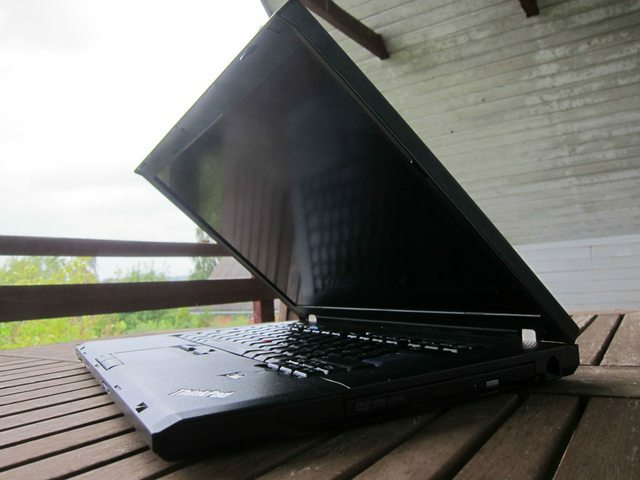 The T40 needs a reflow around the graphics chip, the T41p and T43 seem fine. Gonna do some stress testing of them though. The T61p was dead, but after 10 mins in the oven at 200ºC it was up and running again. I think it's really nice to make these old laptops keep running for a couple of more years. 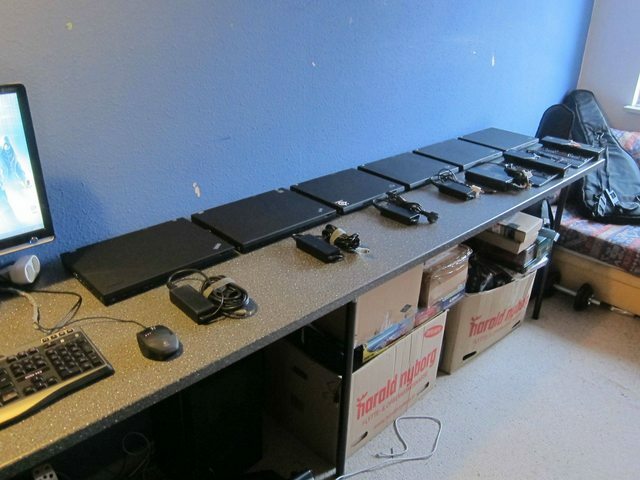 They are arranged in the following order (on the first pic), along with the desktop, W500 and T43p I already had. 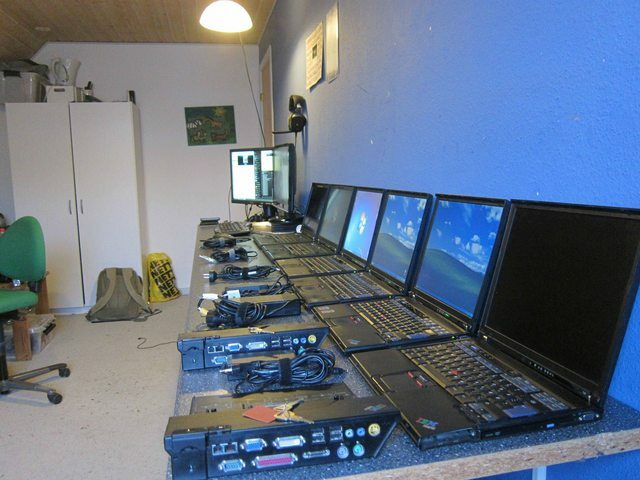 From left to right: W500, T61p, T43p, T43, T41p, T40. I've got another T40 disassembled on the other table as well, but as I haven't got display, keyboard nor a touchpad and panels for it, I thought I'd only show the nice ones. Along with the purchase of the three T4x's and the T61p, I also got a docking station for T40-series, an IBM 120W dock PSU, two more IBM 72W chargers and another Lenovo 90W charger. That's my stuff. Got a Dell Vostro 1500, a Dell Latitude CPi, an old HP Pavilion laptop and a mediacenter not working, cause I need powersupply for it. Last edited by Cola on Tue Jan 22, 2013 8:49 am, edited 5 times in total. 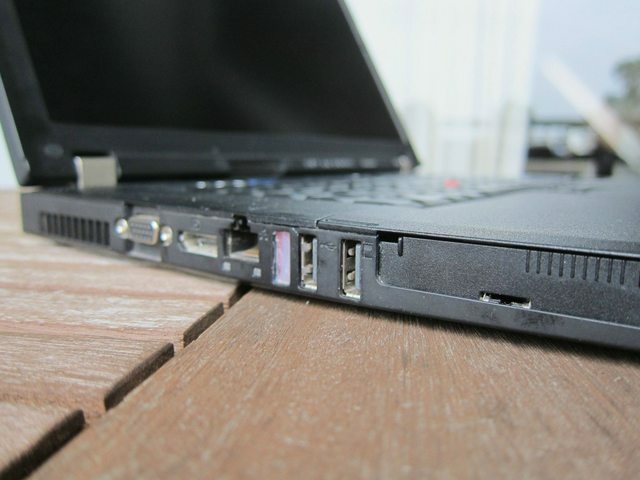 You've been very busy with your two new thinkpads -- what are you going to do with your 'headless' T40? I don't know if it's just my eyes but the display on the T43p looks rather well lit as well. My thought on the headless T40 with the defect motherboard, is to either reflow the whole thing in the oven (covering plastic parts and condensaters etc. ), or to borrow my dads heatgun, and just get some good heat on the GPU solderings to make them reflow that way. 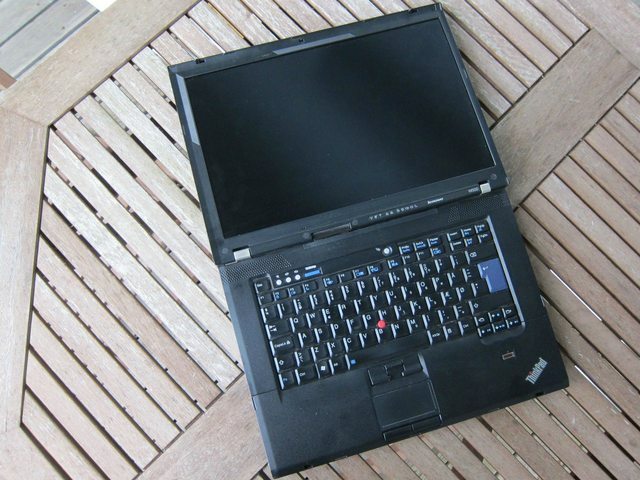 The T43p was a bargain. Paid 40$ for it, and it's in close to perfect nick (lid has had a chip removed ), but everything else is great. And the display as you mention is still very well lit. Can be used in the sunny weather outside with no problem at all! 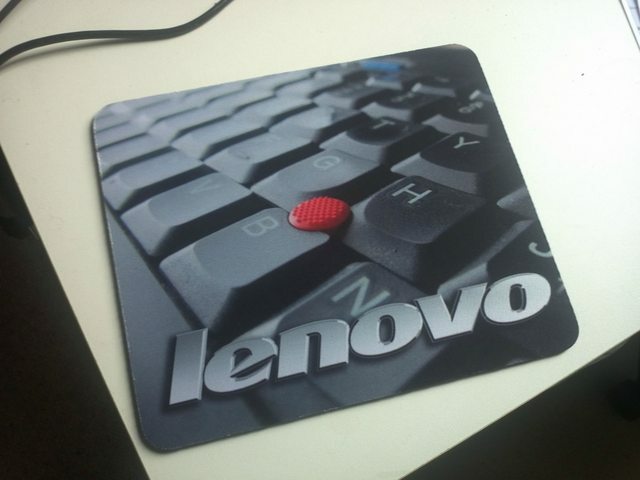 And yes, keyboards are Danish. Nice, I like your setup. 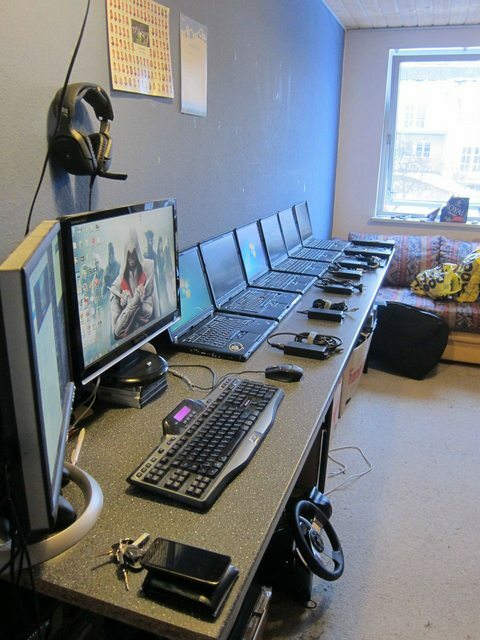 A31 wrote: Nice, I like your setup. The catch when I bought it, was that it didn't work. 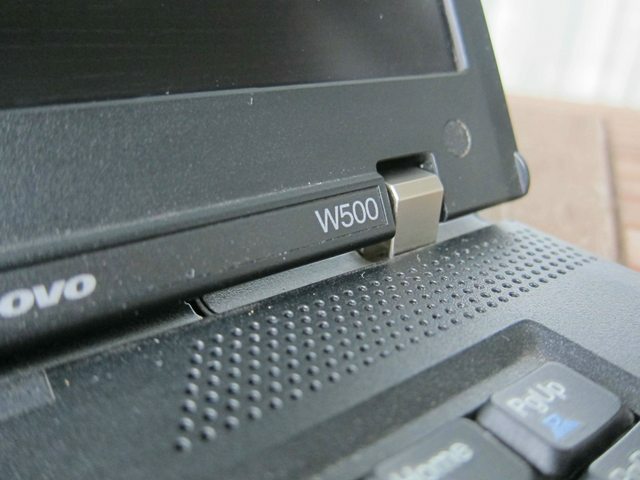 I saw the pics he had sent me, and noticed a USB port missing the plastic bit, and the pins where all messed up and touching each other. I Googled it, and found that several other people had had a similar problem. The solution was to bend the pins, so they wouldn't touch each other, hence not short the system. 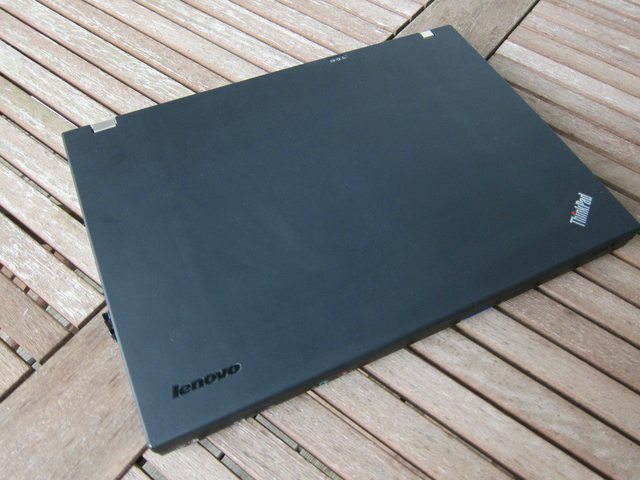 Anyway, as the guy lived in the same town as me (really, that's a 1-in-a-million chance, as there isn't anymore than 5000 people in my town), so as I met him, he showed me the laptop, described the problem, and then i was hooked on it instantly, so I paid him the price we agreed upon, took it back home and fixed it the same night. It was 0.99$ total including freight charges to Denmark. A bought a defective T400 for a quite low price, hoping I could fix it by reseating memory and the coin cell battery, found it its motherboard is waterlogged though, so I'ma sell the rest of it used. Some parts (Lid + display) are in very nice condition. Don't be too quick to sell off your parts -- A lot of your T400 parts will work in some of your future projects. emtee3511 wrote: Don't be too quick to sell off your parts -- A lot of your T400 parts will work in some of your future projects. Anyway, what parts would you say I should keep? 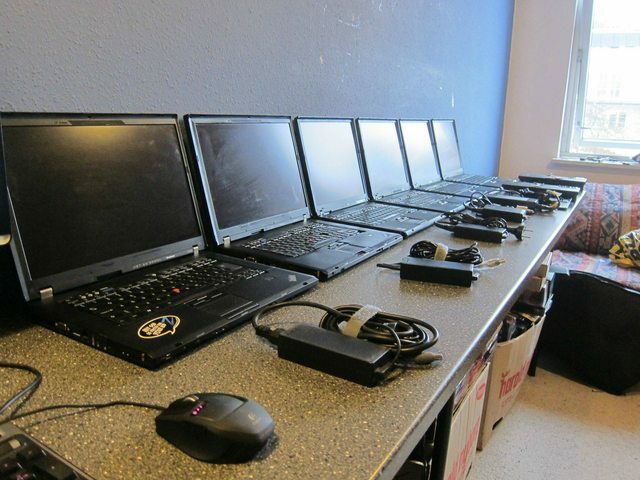 Can you guess which laptops is on the picture? Thanks! 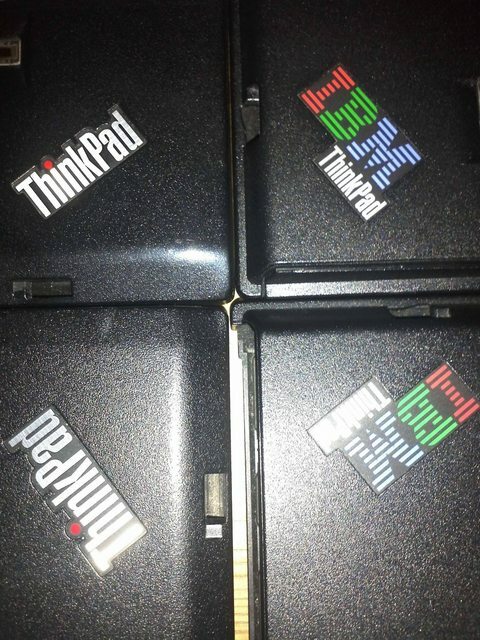 You should do a line up too with all the Thinkpads in your signature! Yeah, but ya gotta watch out for the one with the wonky foot. He's not what he seems. 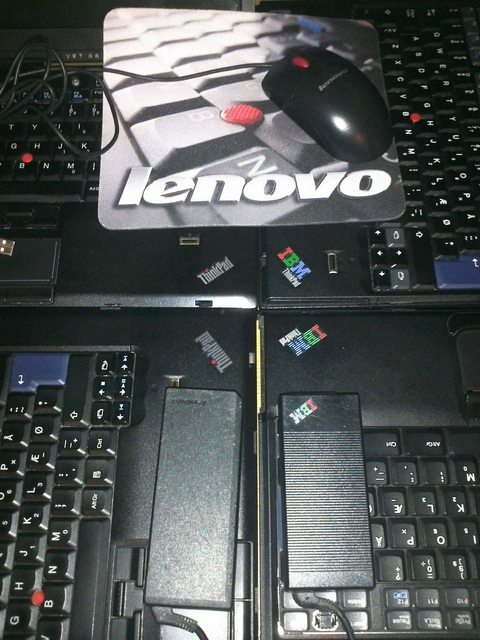 Cola wrote: You should do a line up too with all the Thinkpads in your signature! Radioguy wrote: gotta watch out for the one with the wonky foot. He's not what he seems. Overlooked seeing The Usual Suspects, I think. so, wife had the lid cracked, got a replacement off ebay. 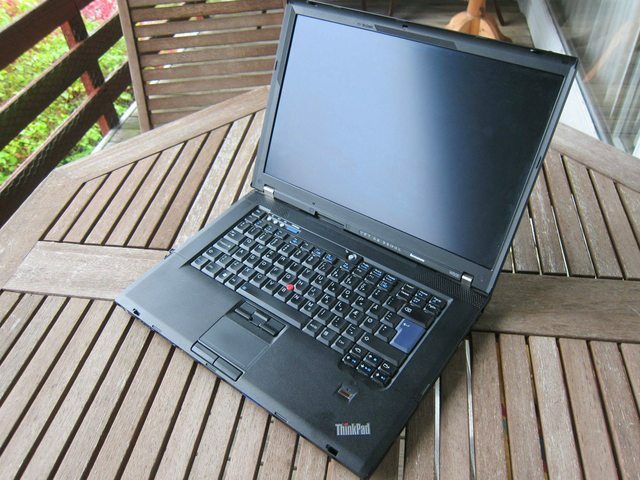 I own two Thinkpad X230, one of them I use daily both at home and at engineering school.